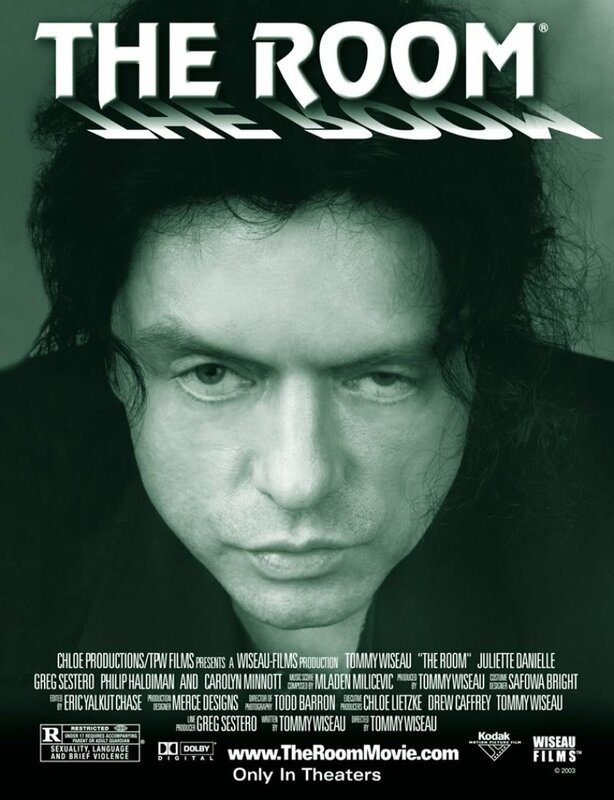 The Room is a 2003 American independent romantic drama film. The film is about a melodramatic love triangle among an amiable banker named Johnny, his deceptive future wife Lisa , and his conflicted best friend Mark. The film title in the poster uses the font Revue. Designed by Colin Brignall in 1968 and inspired by posters of the early 1900s, Revue is a display sans serif design characterized by heavy bow-shaped letterforms, strokes that are clipped off at the ends of some capitals, and an irregular baseline. In addition to The Room (film), Revue typeface is also used in the following logos, movie posters or album covers etc., including: After Burner, Lego Battles.